Lew Dobbins’ 47 year broadcasting career began with an early audition in 1963, his freshman year of high school, announcing the death of a United States President. The West Virginia native openly writes of what would be compared today as the primitive days of broadcasting. A recounting of an illustrious career in country music, radio and TV, Lew Dobbins writes a personal history of country music and engages the reader with personal and professional stories of our country’s greatest stars. 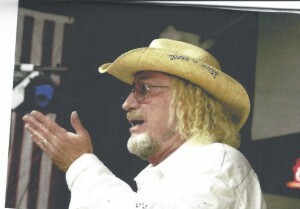 Read about his development of an on-air character and phrases on his radio program that have become that of West Virginia legendary folklore. The business of news radio and TV, the interviews with internationally known personalities from Herb Morrison, the man who described “The Hindenburg Disaster” on worldwide radio, basketball legend Meadowlark Lemon, U.S. President Richard M. Nixon, U.S. Senator Ted Kennedy, and many more. The who’s who of country music tell Lew their most private thoughts in the greatest conversations ever recorded in the history of country music. The words are all factual, the stories are all true from stars such as Johnny Cash, Merle Haggard, George Jones, Tammy Wynette, George Straight, Charlie Daniels, Jerry Lee Lewis, Dolly Parton, Conway Twitty and so many more. In 2008, Lew received the “ultimate thank you” from his peers, when he was inducted into the West Virginia Broadcasters Hall of Fame. He joined fellow inductees such as: Don Knotts, David Selby, Tom T. Hall, Little Jimmy Dickens, Soupy Sales, Peter Marshall and many more individuals of national prominence.